The AGM will be an opportunity not only to reflect on the past year and explain the upcoming changes within the organisation but also share our focus for the next year. This year there will be a particular focus on what dads need before, during and after childbirth and the difference they can make to childhood outcomes.We have lined up some inspiring speakers to share their experiences and views including Adrienne Burgess CEO, Fatherhood Institute, Donna Brough from the Perinatal Team at NHS Ninewells and Kate Magumese - Public Health Nurse/Health Visitor in Fife. Break and facilitated table discussions - So what? Now What? How are you dad? – How can Health Visitors include dad? 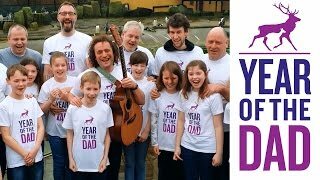 This event on the 7th February at the Mews in Edinburgh will be an opportunity for you to reflect on the journey of your dads project so far, and share your insights and impact it is making with the other members of the group and the Cattanach Board. In the morning we will be joined by Ian Maxwell from Families Need Fathers, who we have a very close working relationship with FNS. FNF support dads, mums and grandparents to have personal contact and meaningful relationships with their children following parental separation. They offer information, advice and support services helping parents to achieve a positive outcome for their children. Ian will explain the the work FNF does and will be able to help you to explore how you can support dads and their families going through seperation. The morning session will then be followed with a lunch where you can meet and chat with the Cattanach Board more informally. In the afternoon each of the Dads Project will do a short presentation explaining the work that they do and the impact that it makes to dads and their families. After the presentation there will be a few minutes for the audience to ask questions and find out more. 15.30 What you would like from FNS during 2019?